Look Sharp, Sconnie - Midwestern Fashion Nerd, Chronic Over-thinker: Mint Condition. A few minutes after asking Kelly if I could see the shirt hanging on the mannequin in ReThreads, it dawned on me that I should probably ask her for her picture as well. Not only did her shirt match her eyes in an arrestingly intimidating fashion, but she really showcased just why "mint" is this season's "must-have" color. See? Kelly fits right in. Which makes sense considering she not only holds down the fort at a super cool thrift store, but works as a freelance stylist to boot. Intimidating, right? She told me that her personal styling strategy is to build up from a single piece - in this case, the shoes. Start with one item, and go from there. Otherwise, it gets overwhelming. Once you pick the overarching vibe, the outfit pretty much comes together on its own. And boy did hers come together. Love it. 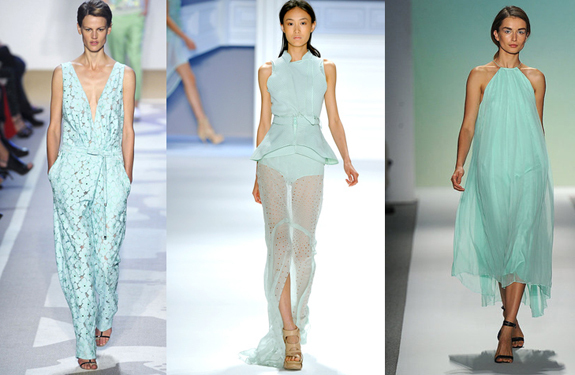 Mint is such a pretty color for spring! I love this outfit! Everything about it. Thanks for stopping by FEST! Beautiful outfit! Love the mint color and just EVERYTHING ABOUT IT!! absolutely stunning outfit:) this shirt is really cool.